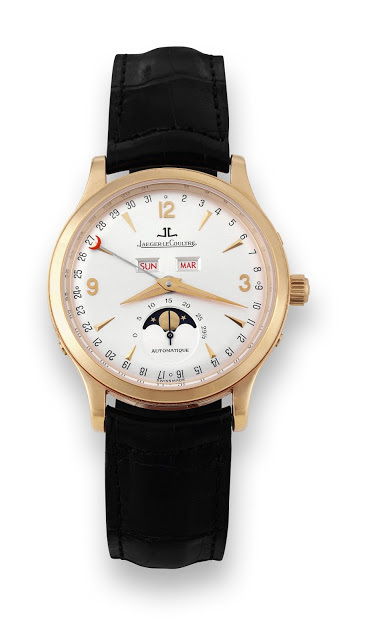 At SIHH 2013 Jaeger-LeCoultre presented a tidy collection of watches, with one of the standouts being the new Master Calendar. 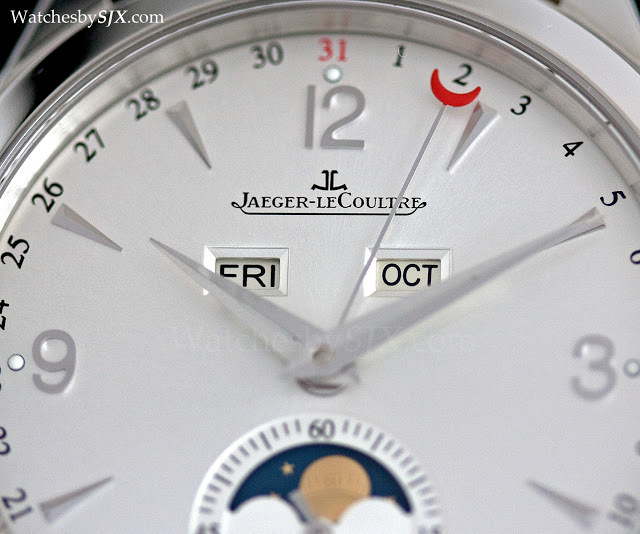 Taking inspiration from the Master Moon of the nineties (itself inspired by triple calendar watches of the thirties to fifties), the revamped Master Calendar is a conservative, but not boring, and well priced. 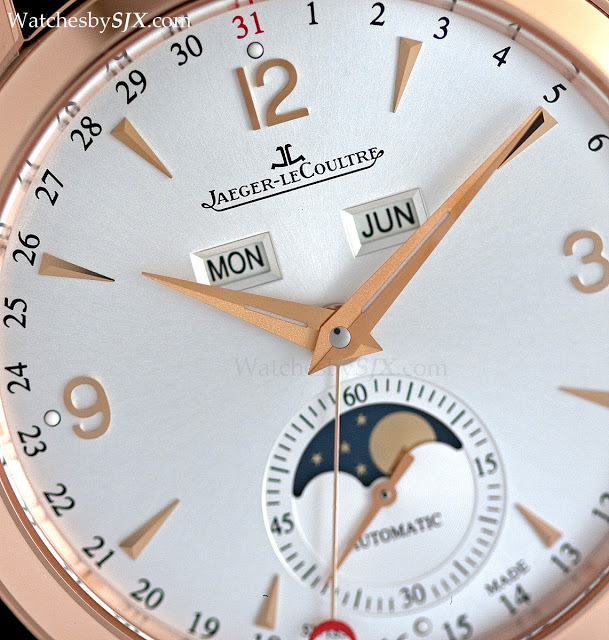 The silverered dial is sunburst brushed, with applied indices. All the calendar indications are legibly display, along with the moon phase at six; all the calendar displays are set by pushers in the case. 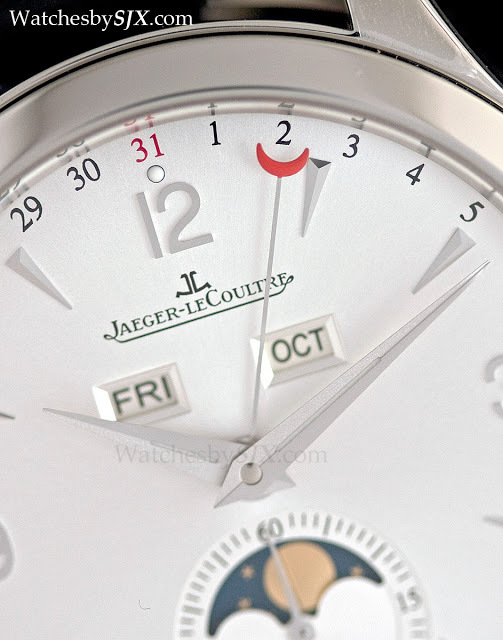 The tip of the date hand and “31” numeral are in red, which gives the dial a subtle dash of colour. It is all very functional and practical. 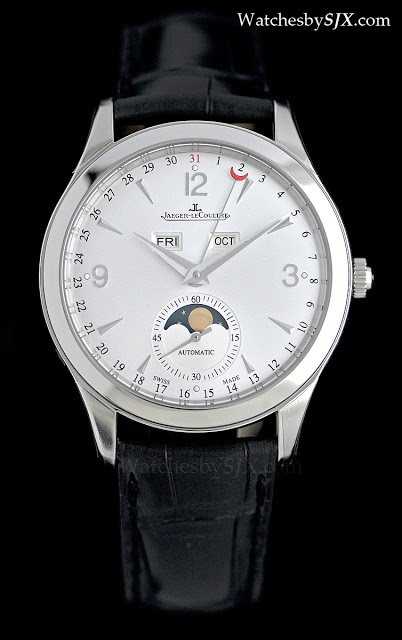 At 39 mm wide and 10.6 mm the case is a manageable size, and slightly smaller than the earlier, 40 mm Master Calendar with power reserve function launched in 2005. 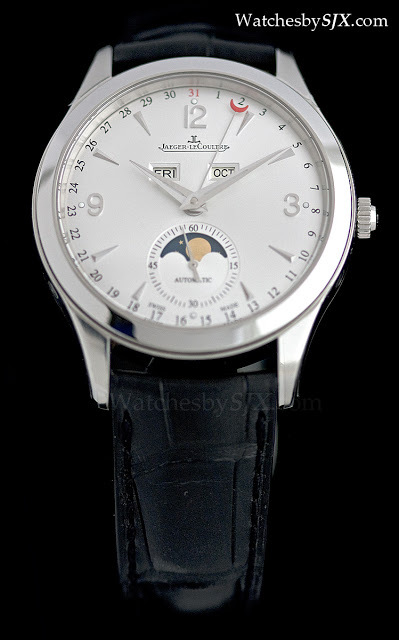 The 40 mm Master Calendar certainly looks more modern, and the power reserve is a bonus, but the new 39 mm model is more attractive in my opinion. Inside is the cal. 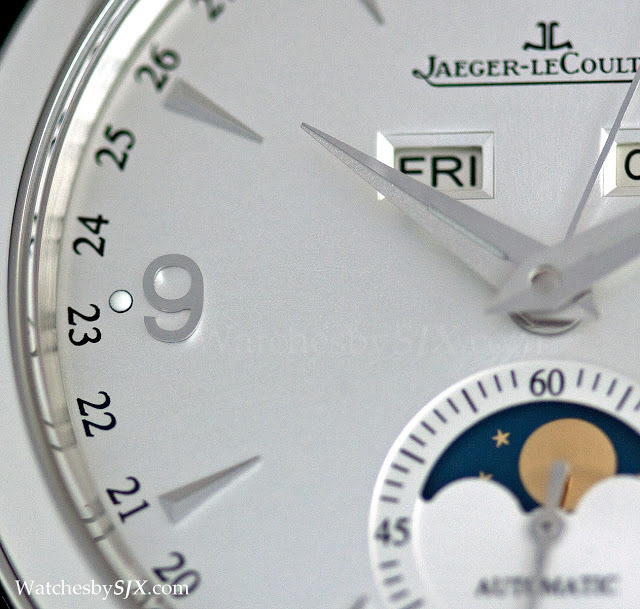 866, an automatic with 43 hours of power reserve. 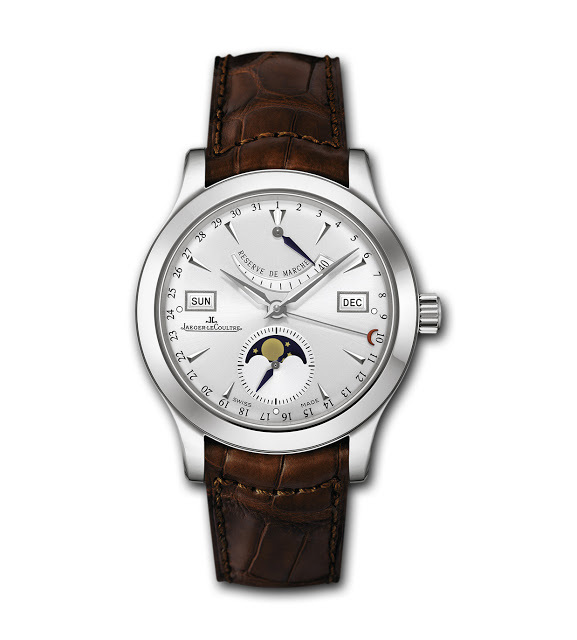 The 2013 Master Calendar is available in steel (ref. 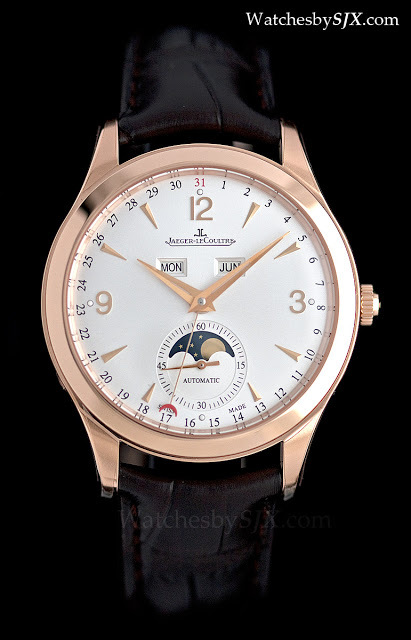 1558420) or rose gold (ref. 1552520). 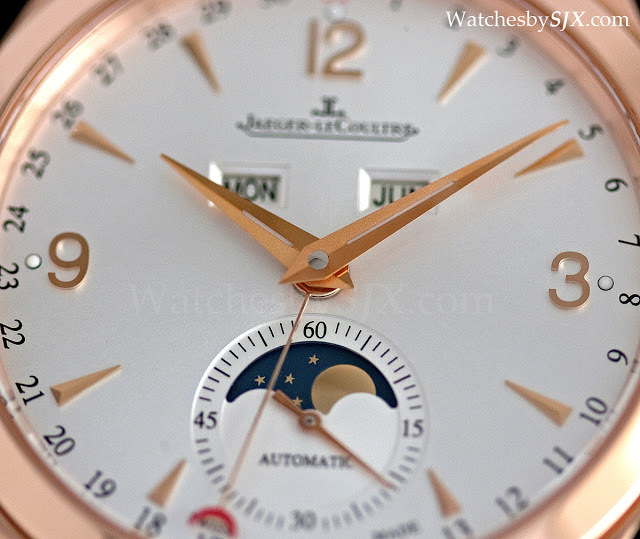 The official retail prices of the steel are S$15,200 or US$10,800, and for the rose gold, S$30,800 or US$23,500. 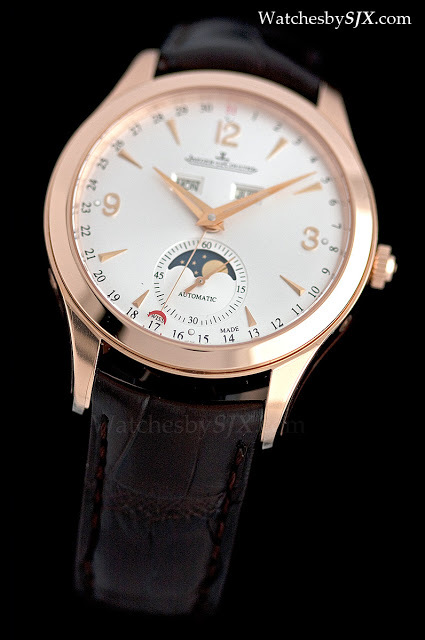 Remember to check out the rest of the JLC SIHH 2013 collection in my SIHH report.